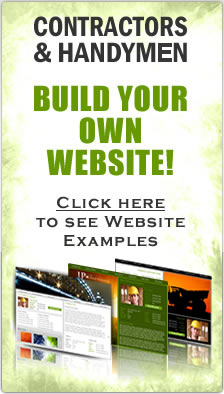 DIY (do it yourself) website builder for Contractors. Are you looking to save money by building your own website? We have a great plan for you. Not only can you build your own website for your construction company, but you will also receive for FREE a full page ad in our contractor directory. What makes using our DIY Website Builder for Contractors different than others? This is an easy question to answer... We are industry specific for the construction trades and ONLY cater to contractors and home pros. All of our construction website templates are fully responsive, nicely designed to create a higher ROI (return on investment) and are user friendly. All our contractor website templates are custom made, fresh and new! As a Contractor, you have worked hard and long to create a good name for yourself. 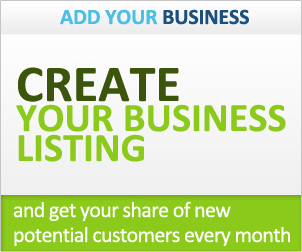 Don't stop now... create a great online presence for your construction company. When a homeowner lands on your website, it is like you showing up at the front door. If you look good, speak good and give a great first impression, there is a better chance that you will land the job. The same goes for your website. If it looks cheesy, you will most like get what is called "a bounce" on your website. That is when someone lands on it and seconds later, they are gone! Google keeps track of this and it can greatly impact your rankings when trying to get your contractor website to the front page of Google and other search engines. Invest now into a great looking custom contractor website and you will be paid back big time when you start landing more work.